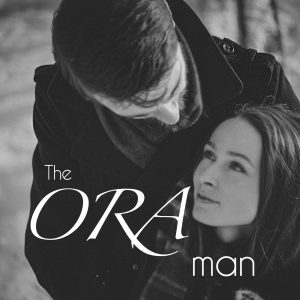 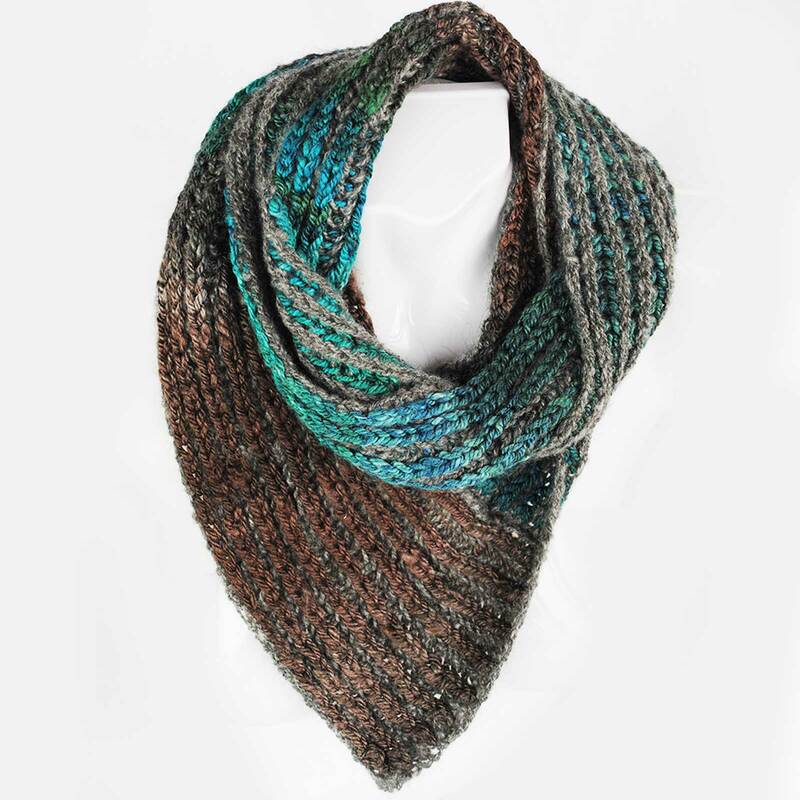 The ORA Alpaca Fisherman’s Rib Cowl is a reversible hand knit using two different yarns resulting in an unusual rib design. 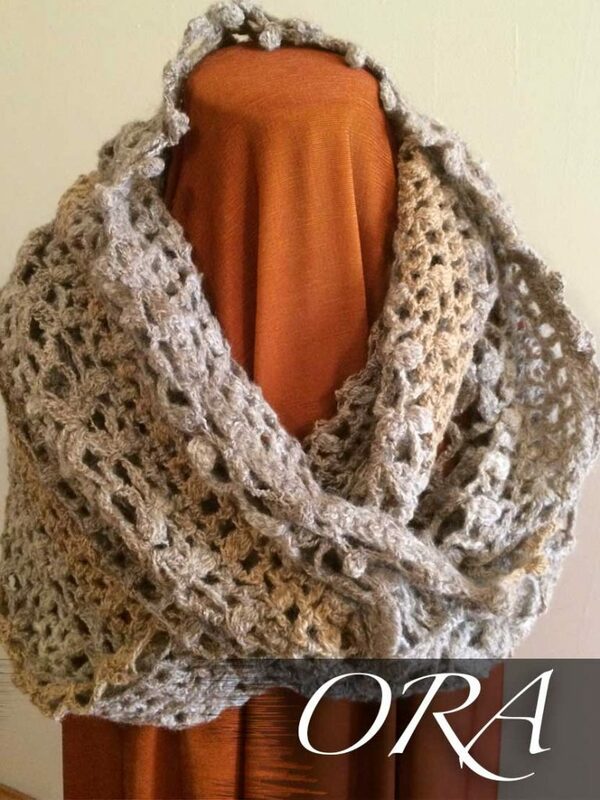 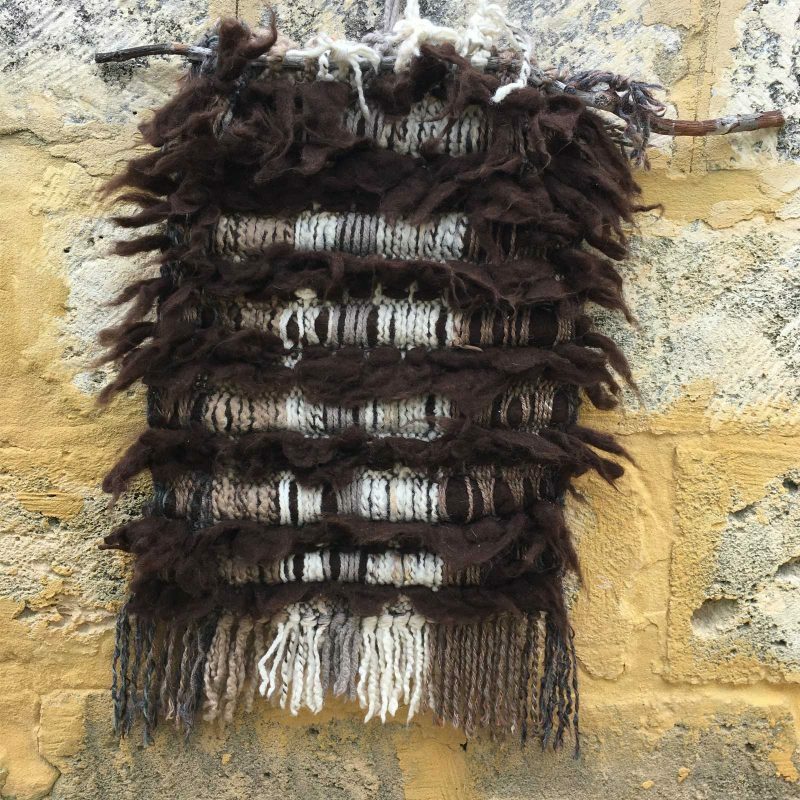 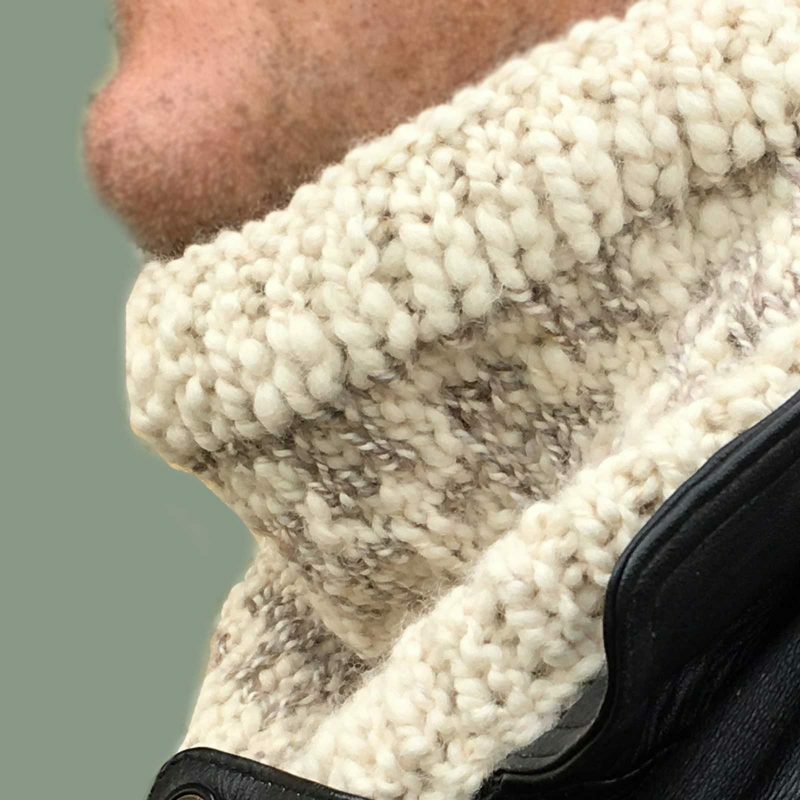 This Alpaca Fisherman’s Rib Cowl can be worn long around the neck or can be gathered and held in place by a shawl pin or brooch. 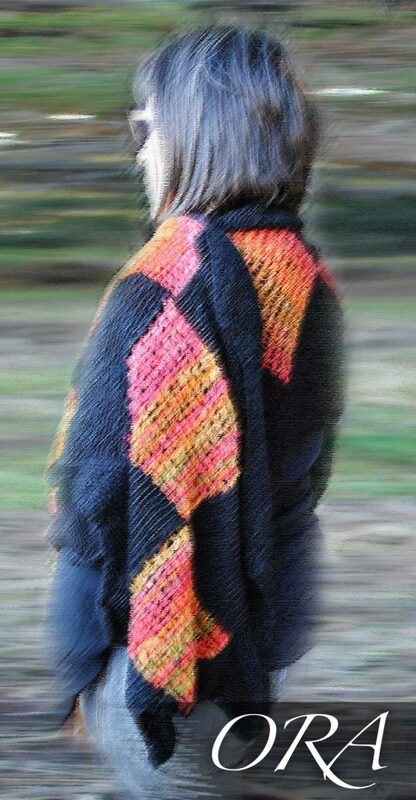 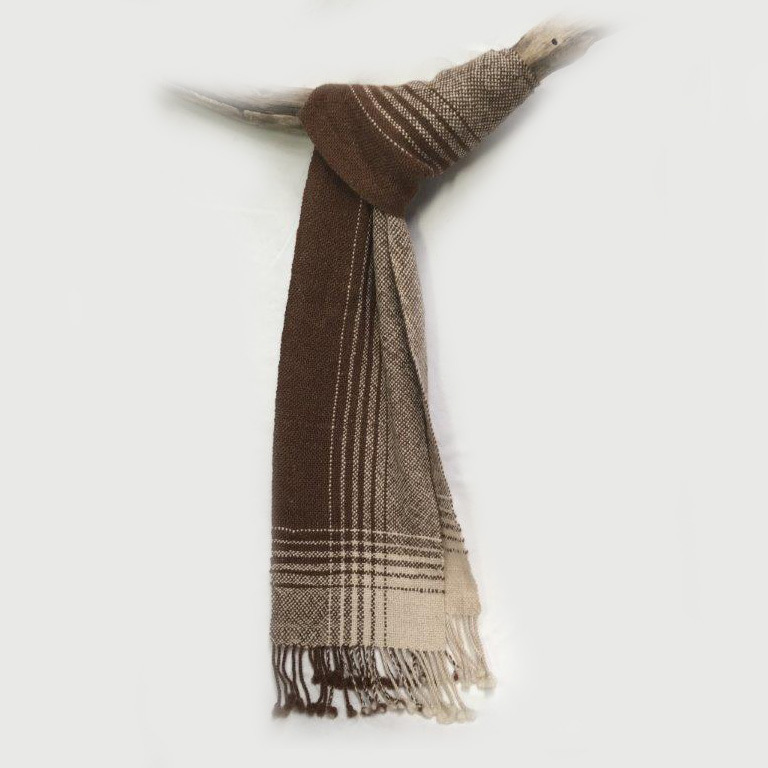 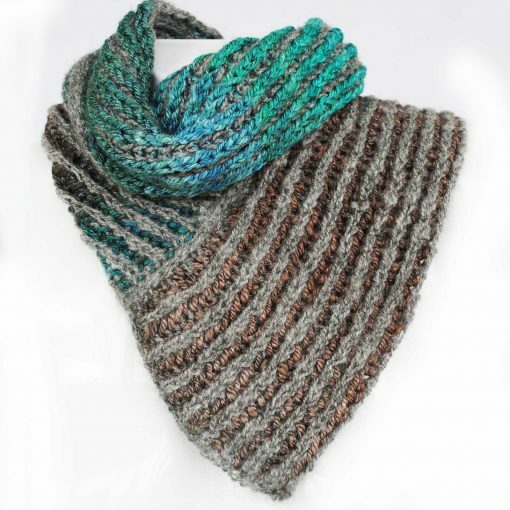 Interestingly this Alpaca Fisherman’s Rib Cowl highlights stunning colour combinations. This unique Alpaca Fisherman’s Rib Cowl adds colour and style to your wardrobe. Excluding summer, it’s usefulness spans the other three seasons on cooler days. 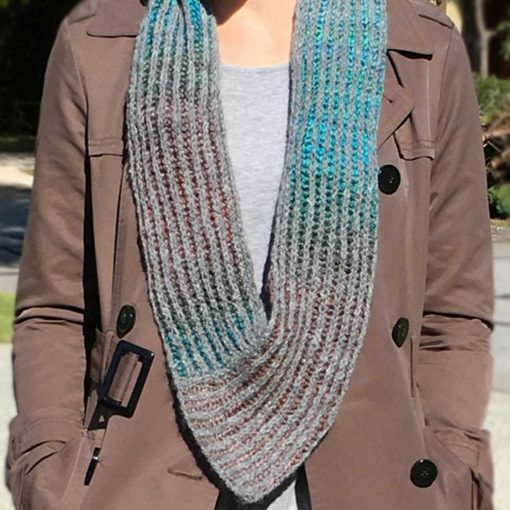 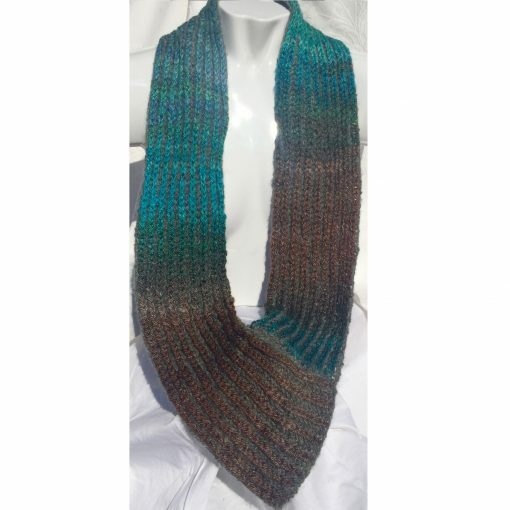 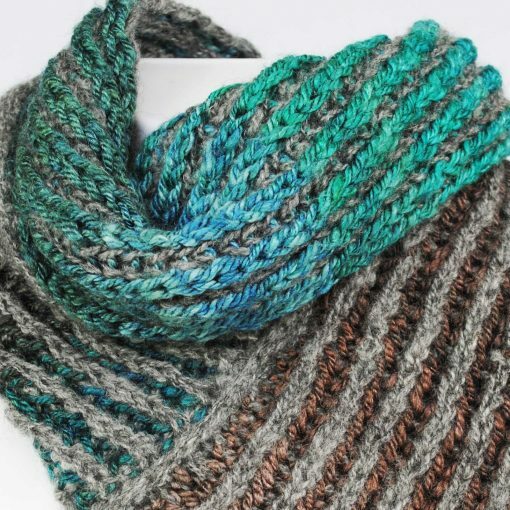 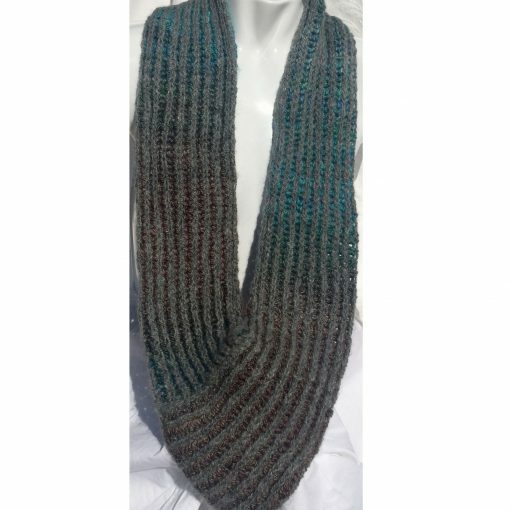 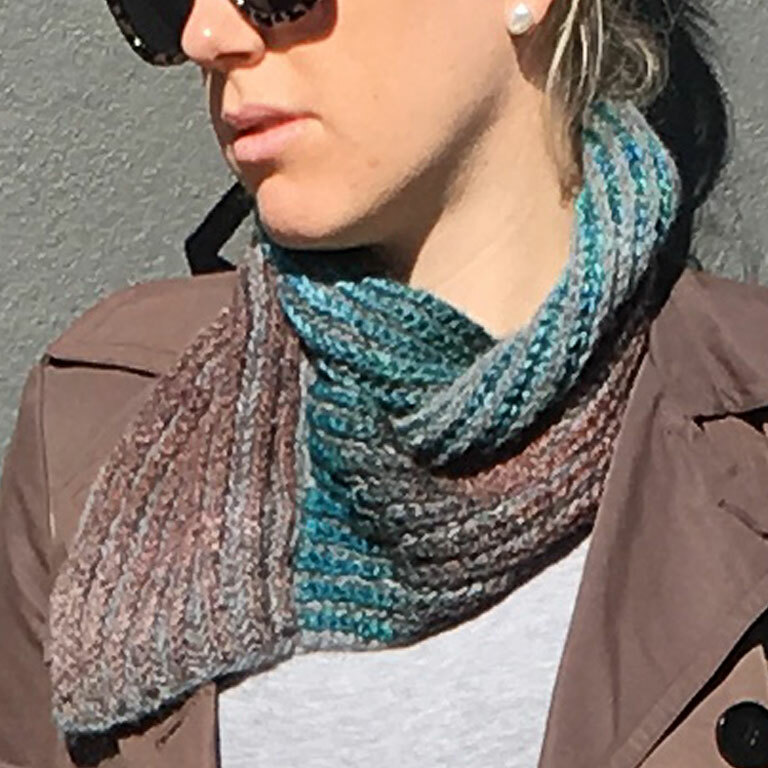 The Alpaca Fisherman’s Rib Cowl has been created using hand spun ORA Signature Yarns.A natural grey alpaca yarn is teamed with merino/silk yarn, hand dyed in rich variegated teals, aqua, emerald, blue and chocolate tones. 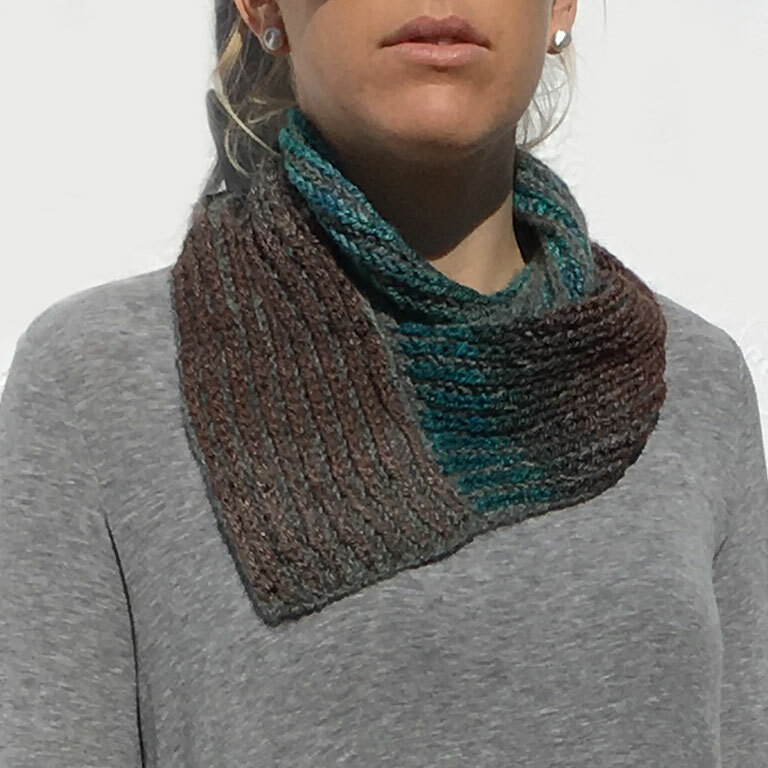 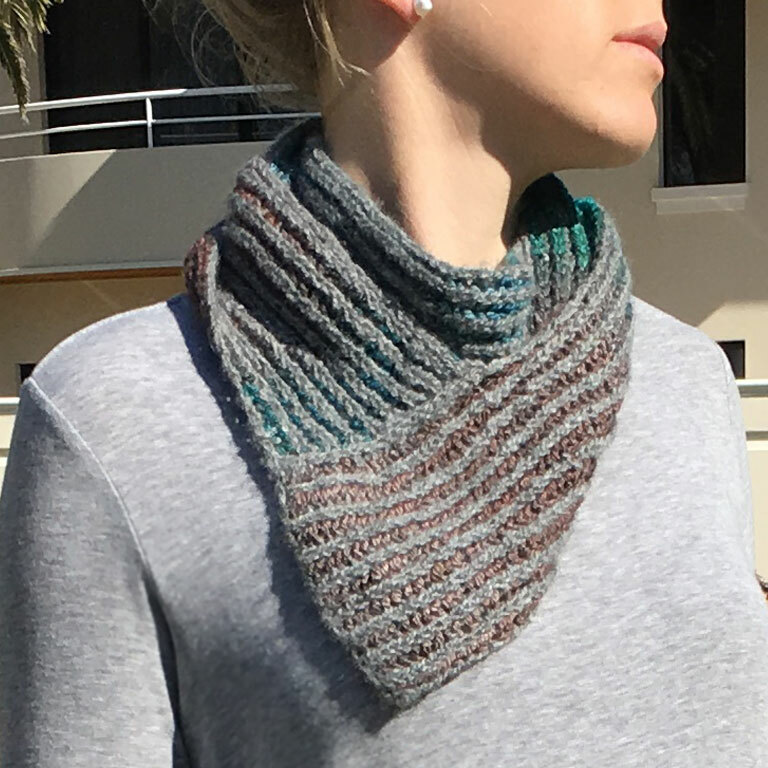 The rich palette of colour is a feature of this cowl. 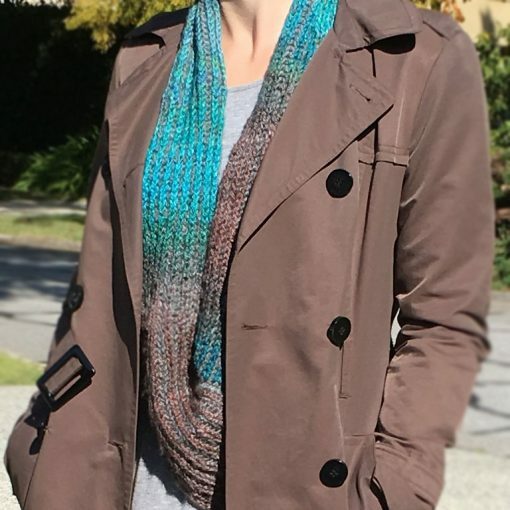 Irresistibly soft alpaca, this garment is warm in winter and light enough to brighten your outfit on those cooler autumn days.